Pinning around did I see some wonderful dolls made by Julia Nutting. 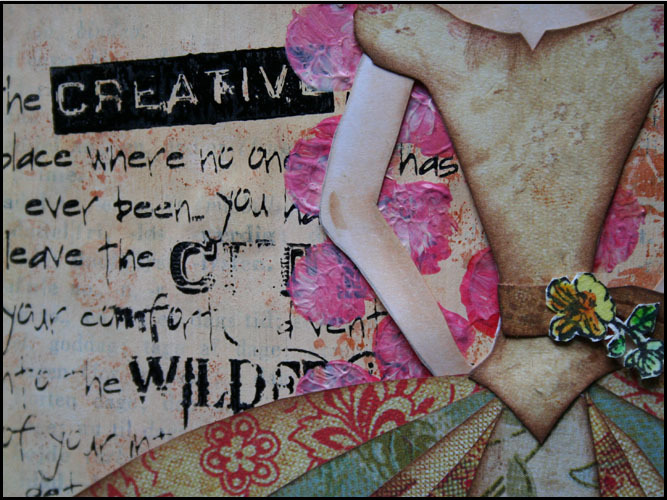 Gabrielle at "Such a Pretty Mess" kindly shared a template for the figure "inspired by the book "Collage Couture" by Julie Nutting"
Stamps; Stampin UP, Layers of color, Tim Holtz, Hero Arts, IO. Tando Creative Sequin Waste mask. Gesso, Inktense, Distress Ink, Acrylic Paint, Copic Caio. Heat embossing. 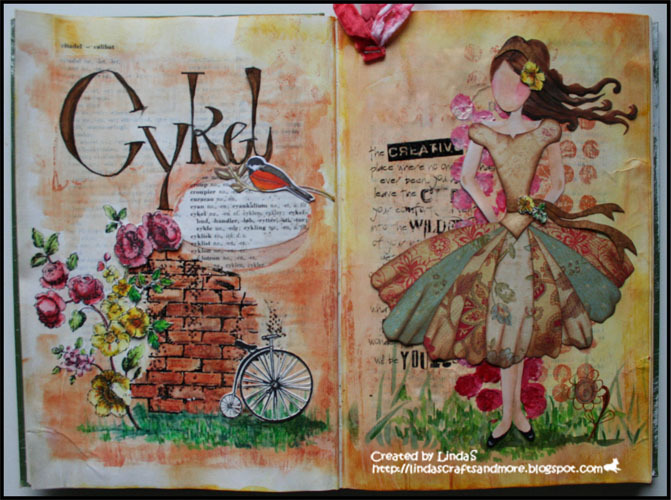 Both your pages are so gorgeous! Such talent you have for this altering stuff! This is such a fun challenge and learning experience for me. This is great - love all the colour and details and oh, yes the bike against that brick wall!! Thanks for playing with us again this week. Ah Linda, this page is a feast for eyes! And I love the little bicycle! Hvor er den dukke bare blevet flot Linda. Du er hammer dygtig! I don't think anyone could do better then this - I love the colors - your girl - her skirt. I just love everything about this!!! !